Saturday, April 12, 2014 5:30 pm Registration, 6:00 pm Dinner, Nigh University Center, Ballrooms A & B, 3rd Floor, 100 N. University Drive, on the University of Central Oklahoma campus in Edmond, OK. 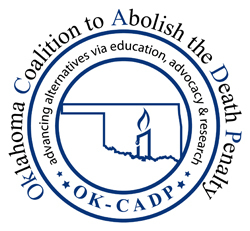 Preceding the dinner, the University of Central Oklahoma Debate Team will debate the issue: “Why & How to Dismantle the Death Penalty.” The event will take place at 4:30 p.m. in the Nigh University Center, Constitution Hall, 2nd floor, at UCO. The debate is free and open to the public. OK-CADP is pleased to announce that this year’s keynote speaker will be Rob Warden, co-founder and executive director of the Center on Wrongful Convictions at Northwestern University School of Law in Chicago. 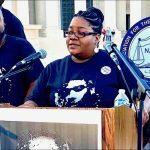 An award-winning legal affairs writer, Warden is the author or co-author of hundreds of articles and commentaries on criminal justice issues and of four books about miscarriages of justice. 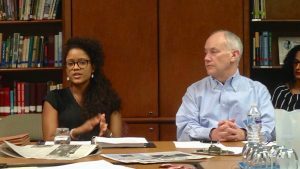 After more than three decades as a working journalist, investigative reporter, foreign correspondent, columnist, and editor at the Chicago Daily News and the editor and publisher of Chicago Lawyer, Warden joined with Northwestern University Law Professor Lawrence C. Marshall to start the Center on Wrongful Convictions in 1999. 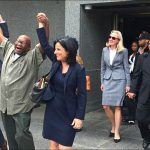 Dedicated to identifying and rectifying wrongful convictions and other miscarriages of justice, the Center has been instrumental in more than 30 exonerations. It also led the public education effort that culminated in Governor George Ryan’s decision to grant clemency to all Illinois death row prisoners in 2003. Tickets for the dinner are $50 for adults and students are $15. Sponsorships are also available. Reservation deadline has been extended to Monday, April 7. Vegetarian plate available – note request in comment box when purchasing tickets.